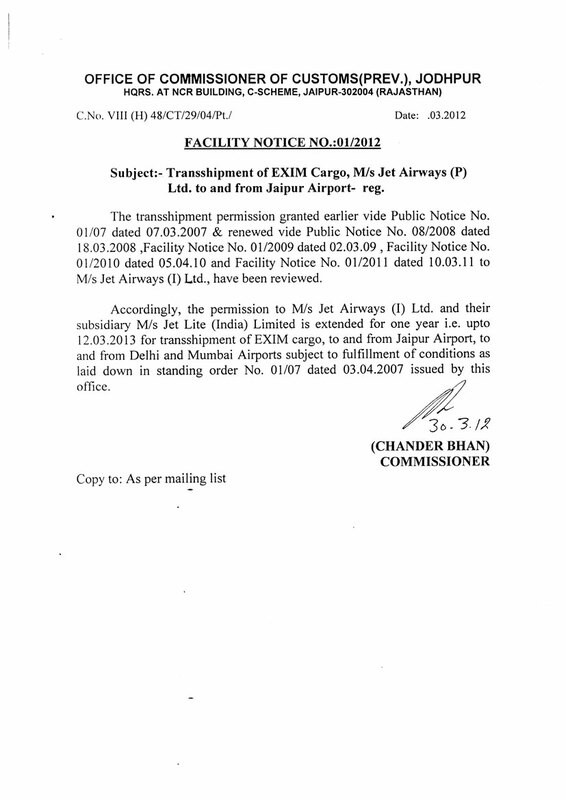 Facility Notice No 01/2012 - Transshipment of EXIM Cargo, M/s Jet Airways (P) Ltd. to and from Jaipur Airport - reg. 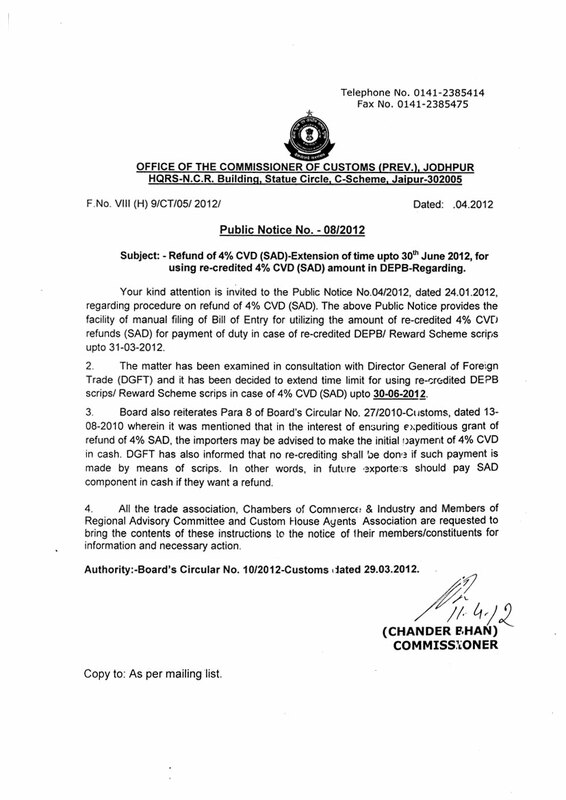 Public Notice No 09/2012 - Disposal of confiscated goods - clarification on existing instructions - reg. Public Notice No 08/2012 - Refund of 4% CVD (SAD)-Extension of time upto 30th June 2012, for using re-credited 4% CVD (SAD) amount in DEPB - reg.